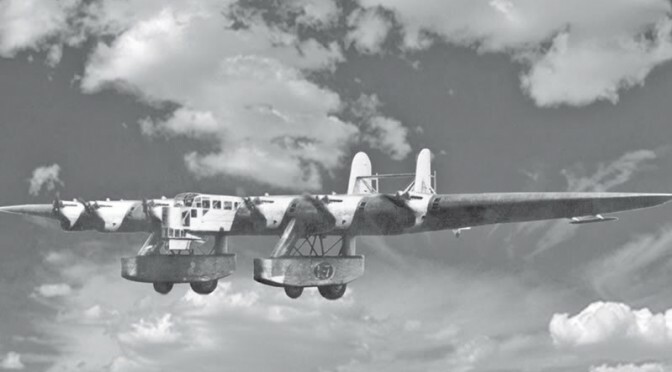 The Kalinin K-7 was a heavy experimental aircraft designed and tested in the Soviet Union in the early 1930s. It was of unusual configuration with twin booms and large underwing pods housing fixed landing gear and machine gun turrets. In the passenger version, seats were arranged inside the 2.3-meter thick (7 ft 7 in) wings. The airframe was welded from KhMA chrome-molybdenum steel. The original design called for six engines in the wing leading edge but when the projected loaded weight was exceeded, two more engines were added to the trailing edges of each wing, one right and one left of the central passenger pod. Nemecek states in his book that at first only one further pusher engine was added.